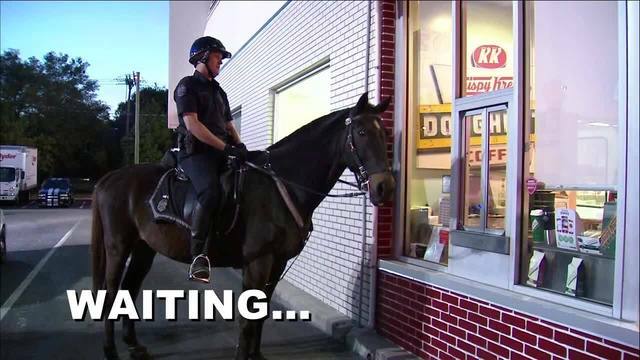 This police horse in Tampa stops for a morning snack at the “ride through” window. I wonder, cinnamon sugar? Chocolate glazed? What do you think he likes best?